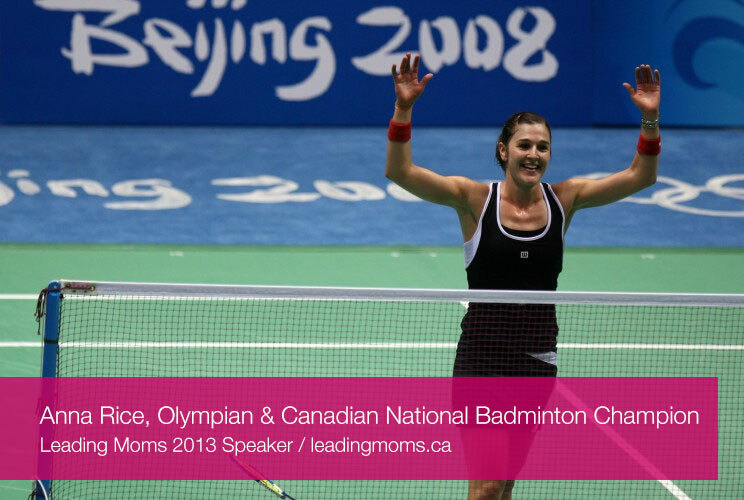 Anna Rice is a two-time Olympian and five-time Canadian National Badminton Champion. At the Beijing Olympics, Anna became the first female singles player from a Pan American country to achieve a top-10 finish. Born and raised in North Vancouver, Anna completed a B.A. from UBC before moving to Denmark where she lived and played professional badminton for nine years. While in Europe, Anna completed a Masters in Communication for Development, with a focus on Sport & Development. Off the court, Anna has been an active advocate for women’s rights in sport. In 2006, she successfully led a campaign to establish an equal prize money pay distribution for the international professional badminton circuit. In 2011, Anna helped defeat a proposed clothing guideline that would force all female players to wear skirts or dresses for international competition. Anna is passionate about “play” of any kind and has been an Athlete Ambassador for the humanitarian organization Right To Play since 2004. In 2009, Anna spent three months volunteering with Right To Play in Uganda, where, among other things, she taught badminton inside refugee camps. Anna now lives in East Vancouver with her husband and their one year old son Robby, and is also the Head Coach and Program Director at Badminton Vancouver, a 12-court recreational badminton facility.